Let’s have fun playing backgammon while sipping Turkish tea and munching on sucuklu tost. 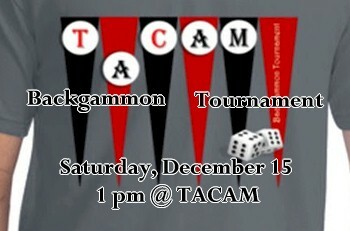 We would like to invite you to our annual Backgammon Tournament at TACAM on Saturday, December 15th starting at 1:00 pm. We will serve traditional Turkish tea, toast with cheese and sucuk. The event is only $10 for members and $15 for non-members. All interested are eligible to participate at the backgammon tournament. The tournament will be elimination style. The rules of the tournament will be distributed during the event. 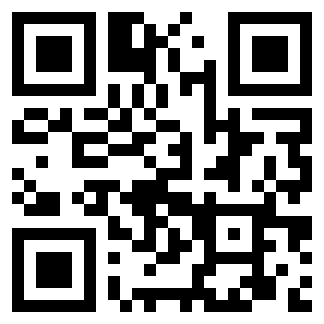 The grand prize is $25 gift card from Amazon and the special design T-shirt for the winner. The 2nd place will be also awarded with the T-shirt. The limited number of this special t-shirt (unisex M, L or XL) which is seen below will be also available to purchase for only $15! Please let us know if you are interested in buying one. We may also teach how to play backgammon for the ones who want to learn. The event is a family friendly one, and we would like to have a day long of entertainment with tavla games between youth and elderly, Turkish music, and our traditional cay, and toast. 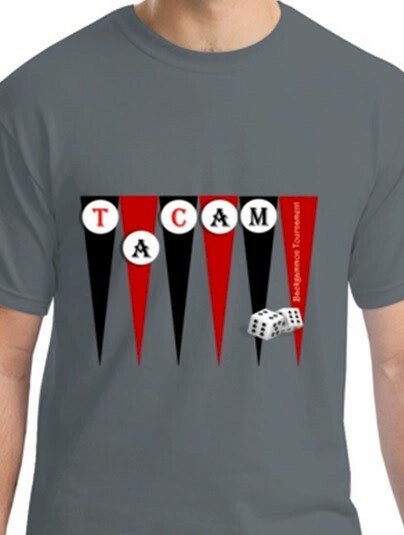 We will appreciate if you could RSVP for the tournament at contact@tacam.org and indicate whether you can provide a backgammon set at the event. We are looking forward to seeing our friends at this wonderful event. This entry was posted on Saturday, December 1, 2018, at 10:54pm	and is filed under Main Events. You can follow any responses to this entry through the RSS 2.0 feed. You can leave a response, or trackback from your own site.